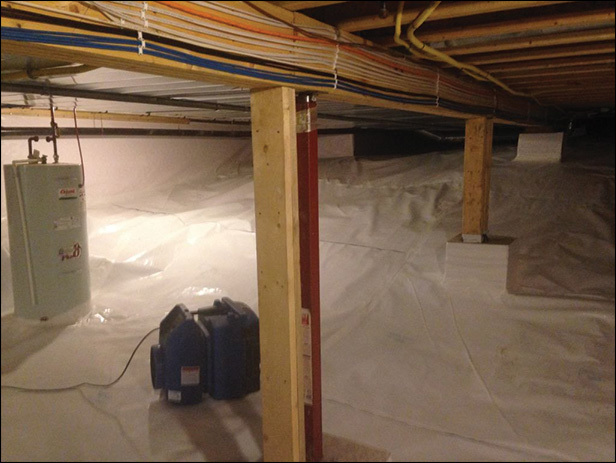 The PH Group can help make that wet, leaky basement a thing of the past. Years ago the basement was just a storage space, but nowadays it’s valuable living space. Fire retardant, which passes the NFPA 701-2004 Test 1 Fire Retardant Standard and ASTM E84 Class A. Crawl space liners meet or exceed ASTM E1745 Class C Standard (plastic water vapor retarders used in contact with soil or granular fill). Crawl space encapsulation liners are multi-layered, extrusion-laminated, reinforced film. A layer of polyester scrim reinforcement placed between the layers of low-density polyethylene greatly enhances tear resistance and increases service life.